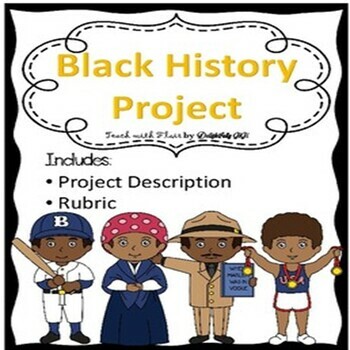 This Black History Project packet includes project description, directions and rubric. 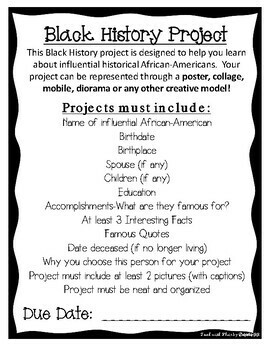 It is designed to help students learn about influential historical African-Americans. 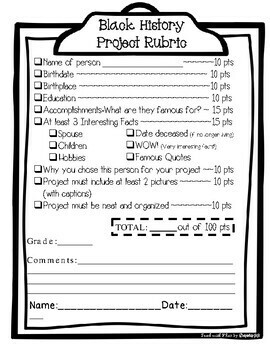 Student's projects can represented in any creative model. Please rate and share! Enjoy!